He stated that 30 nomination shad been received covering 12 projects. Mike Peters (left) and Chris Marsden. 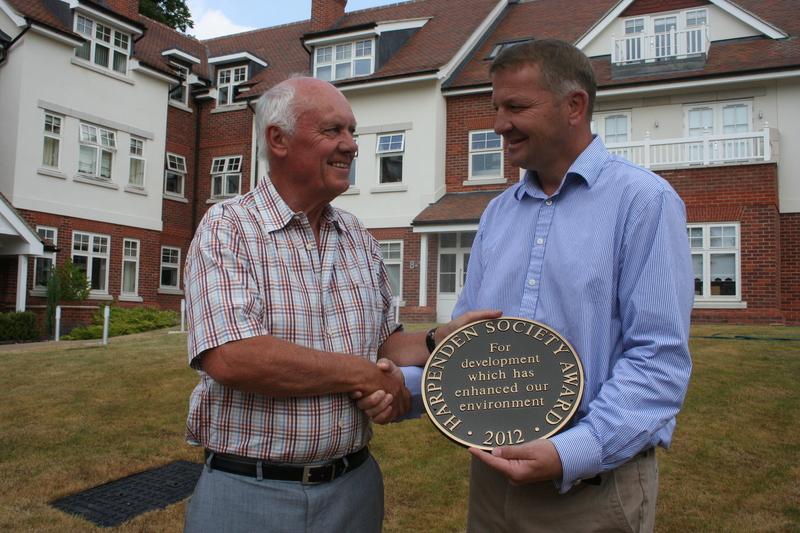 Mike Peters (left), Managing Director of Jarvis Homes Ltd receives the “Harpenden Society Environmental Award” on behalf of Jarvis Homes for The Foresters housing development in Harpenden. Chris Marsden, Society Chairman presented the award on behalf of the Society. Mike Peters with Harpenden Society committee members. 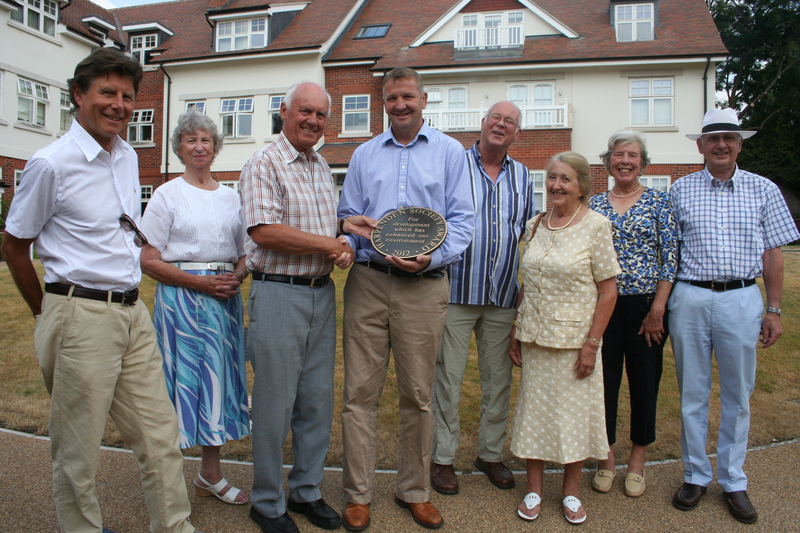 Mike Peters (holding plaque), Managing Director of Jarvis Homes Ltd receives the “Harpenden Society Environmental Award” on behalf of Jarvis Homes for The Foresters housing development in Harpenden. Chris Marsden, Society Chairman presented the award on behalf of the Society. Chris Marsden (left) and Mike Peters. Mike Peters (left), Managing Director of Jarvis Homes Ltd received the “Harpenden Society Environmental Award” on behalf of Jarvis Homes for The Foresters housing development in Harpenden. 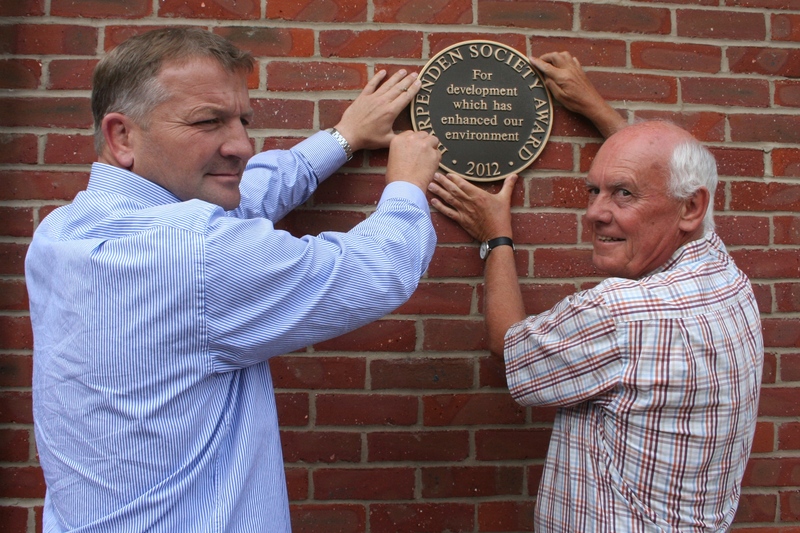 Chris Marsden, Society Chairman presented the award on behalf of the Society and helped Mike to screw the plaque to the wall of the building. Three of The Harpenden Society Annual Awards for 2012 were presented recently at a group event held at Harpenden’s STRADA restaurant on Leyton Green. 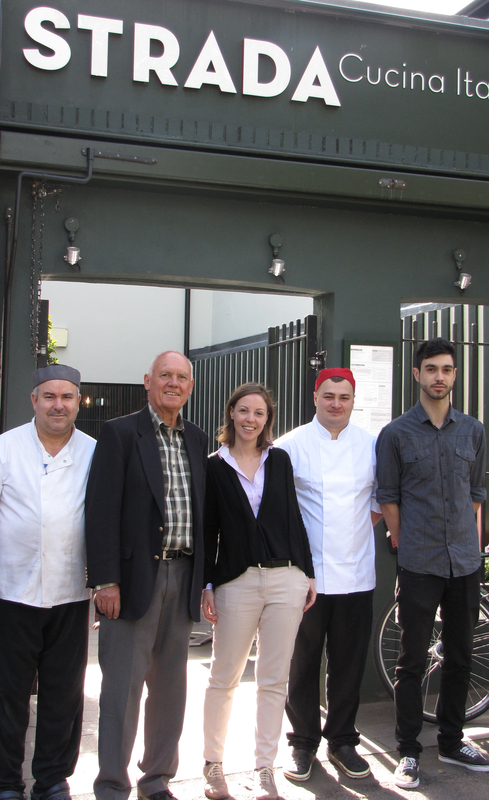 Firstly ‘A letter of Commendation’ to commend STRADA for the significant visual improvement that their restaurant on Leyton Green has made to the local area. 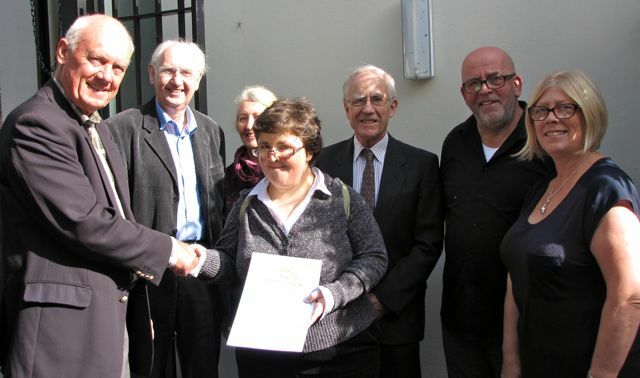 Secondly a ‘Certificate of Merit’ awarded to Harpenden Mencap for Pine Court in recognition of the valuable improvement the building has made to the local area. 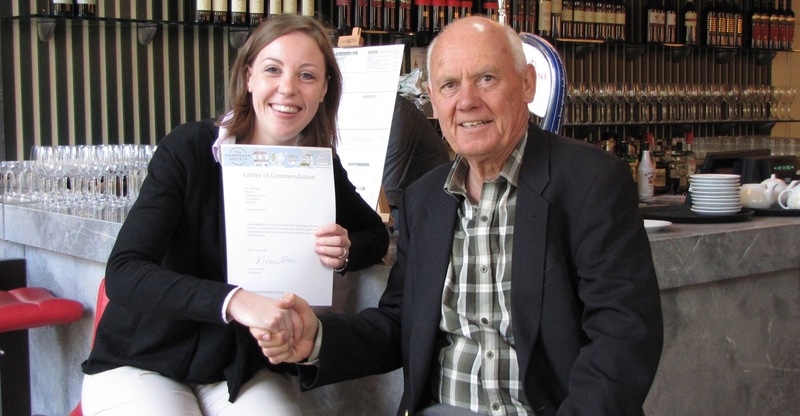 Thirdly a ‘Certificate of Merit’ awarded to Harpenden Town Council for the Jubilee Crowns and Arch, commissioned to commemorate the Diamond Jubilee of HM Queen Elizabeth II. 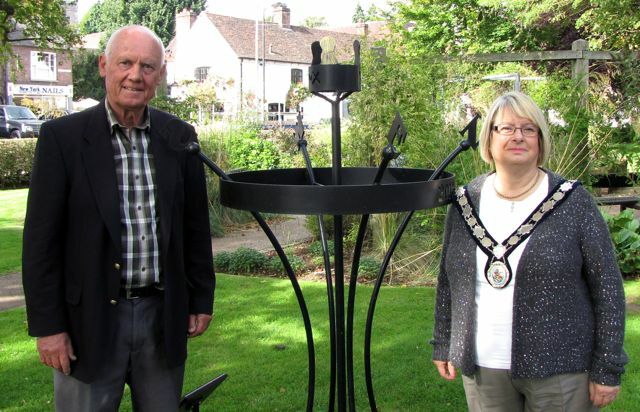 Special recognition being given to the work of Roy Bentley, Phoebe, a pupil at Grove Junior School, and Richard Sweetland in creating and erecting these sculptures. All the guests as seen in the photographs enjoyed a hospitality treat during the presentation ceremony with coffee, tea, tiramisu and cheesecake. Valentina Rizzo receiving the STRADA award from The Harpenden Society chairman Chris Marsden. 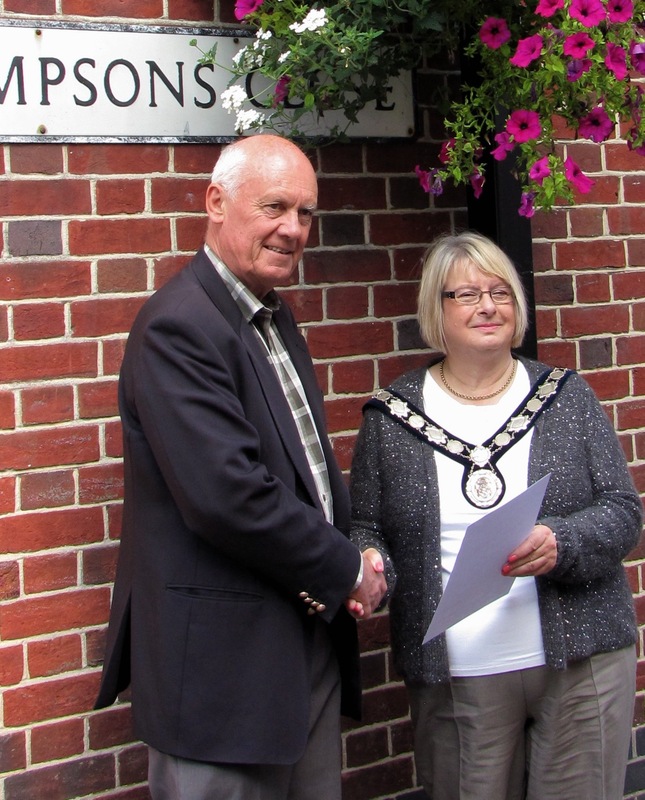 Harpenden Town Mayor Rosemary Farmer receiving the Town Council Award from Chris Marsden.